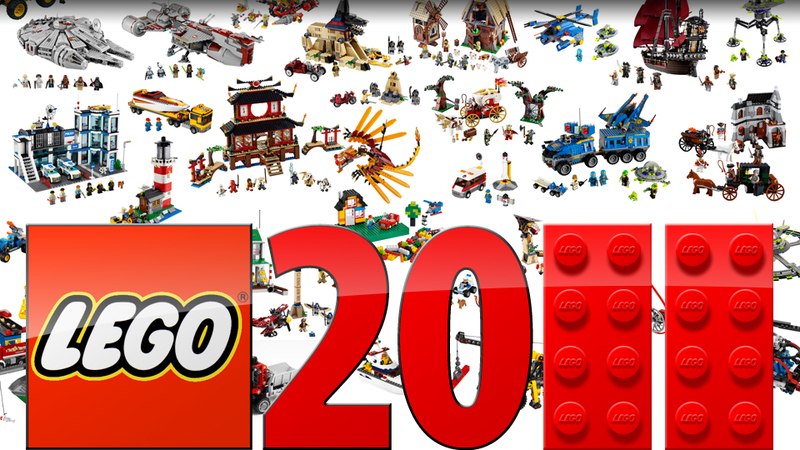 The Best Lego Sets of 2011 – How on Earth do you choose just five ten? Of course this list is going to be subjective and there are waaaaay too many sets (over 400 released in 2011) to incude all the truly amazing Lego sets for the year… but I am going to give it a go. Lego Atlantis seems to be finishing up in 2011 so it seems only fair that Lego go out on a bang. 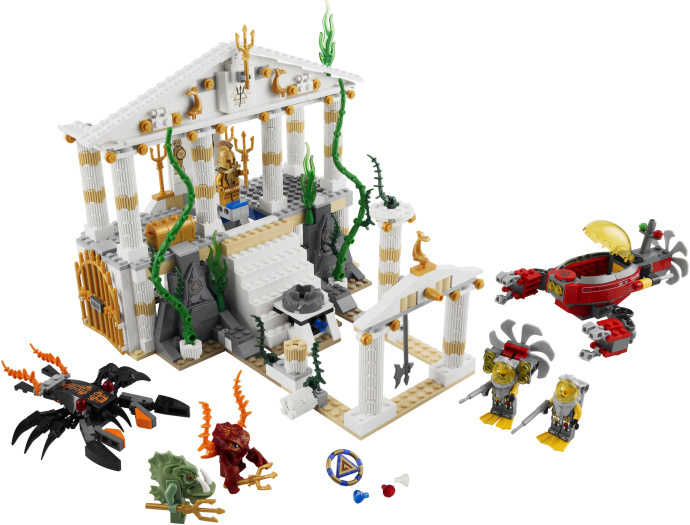 The City Of Atlantis set is a great set – a playset no less (my favorite sets) with some very cool new pieces (column bricks!) and a whole lot of playability all for $69.95 retail. With the temple, underwater vehicle and five minifigures it’s hard to believe this set is only 686 pieces. The Ninjago Fire temple oozes color and life. If kids are into Ninjago (and it seems to be a very popular theme for Lego) then they love the Fire temple. This is the one set both my kids requested this year and they committed to purchasing it with their collective birthday money on the holidays. Not only does the set come with seven cool minifigures and the large Fire Temple, it also comes complete with Kai’s awesome Fire Dragon. Weapons-wise this set is also very special because the legendary Dragon Sword of Fire is hidden in the temple and guarded by the Dragon. Visually this set is stunning; the oranges, reds, yellows and blacks play off against the whites and blue. The temple comes with a number of printed pieces that represent Japanese style screens that enable fans to create their own Ninja temples in future. A gorgeous end to 2011’s “red” phase of the Ninjago theme. As the first set to give us Lego chickens and goats how could I not choose this set?! Plus as a Kingdoms set that isn’t a castle or even castle related it just oozes character and a homey kind of fun. You get two buildings that really show-off the potential of Lego to create buildings that are not blocky, as well as 6 minifigures: milk maid, farmer, stable boy and 3 Dragon Knights. Not to mention a horse and cart, a pig, three chickens and two goats. Seriously, these animals are so small and cute you will fall in love with them straight away. The Mill Village Raid set is a wonderful complement to Medieval Market Village released in 2010 and is sure to join it as a fan-favorite classic set. The Unimog is a set that, if you take it in at a glance, you could easily dismiss and think “so what”. But if you actually sit and look at it, I mean really look at it, you end up thinking “Wow. Just…wow!”. In pictures it is hard to convey the awesomeness of the Unimog. To see this baby built and in action is another thing entirely. I’m not into Technic personally and neither of my kids are at the age that they can appreciate it, but when I really sat down and looked at the construction and operation of this set I was itching to get one, just for myself. With 2048 pieces and at over 19 (48cm) long and 12 (30cm) high it is the largest Technic set built so far. It features Power Functions, working steering, 4wheel drive and suspension, a gear block for extreme ground clearance and a detailed engine with moving pistons. Like it’s real-like counterpart the Lego Technic Unimog is solid with lots of bracing, so it isn’t going to come apart easily. It’s the perfect set for a child who is showing an interest in engineering and a parent who wants to share some serious play time. This is the first of a series of kits designed specifically to help kids improve their Lego building abilities. The whole Master Builder Academy is set up like a distance school for Lego. As a parent I bought this set for my son but invariably had so much fun building both the sets and my own designs that I could happily recommend it for parents as well. There are further kits available now via subscription on the Lego Shop At Home site but this kit does stand alone if you are curious. This first kit comes with an extensive 84 page book which discusses the principles of the MBA, hints, tips and steps for building 3 different models, a unique minifigure, a brick separator and a sorting tray to keep all the pieces in. Each book has a password to use on LEGOmba.com with access to the full Kit 1 experience including exclusive Master Builder videos, more building tips, the Space Designer gallery, and the first LEGO MBA skill test. It’s perfect for kids who take their Lego building seriously. When it was announced that Lego would be making sets from the popular movie franchise Pirates Of the Caribbean, the set most sought after by fans was the legendary pirate ship The Black Pearl, owned by Captain Jack Sparrow. Yet Lego opted for the lesser known vessel, Queen Anne’s Revenge (which is only featured in the latest movie On Stranger Tides), for their first foray into POTC Pirate ships. However such was the popularity of this set with fans that when Lego finally released The Black Pearl later in 2011, most still preferred the Queen Anne’s Revenge. Set 4195 comes with seven minifigures (nine if you include the skeletons) and is both a vehicle and a playset, with good guys, bad guys and a whole heap of play space and accessories. It also makes a beautiful display piece once play has finished for the day. Perfect for fans of the movies or just Pirates-in-training. The Harry Potter Lego theme has been one of the most popular of the last 10 years. Upon release of the final two films in the series, Lego had one last shot at the franchise which has captivated millions around the world. The biggest and arguably one of the best Lego Harry Potter sets of the last 10 years was saved for this last wave, Diagon Alley. With a set this big – 2025 pieces, twelve minifigures (many of them exclusive) and recommended for ages 14+, you know you are in for a great build and Diagon Alley doesn’t disappoint. The construction techniques and styles in the Diagon Alley set are unique, detailed and varied. Given the age recommendation, Diagon Alley is wonderful set parents can build with young Harry Potter fans. The Lego Modular sets are some of the most well-designed and well-loved in the history of Lego, especially with older fans. The level of detail in each building is astounding and makes both the construction process and display of each model a joy. The fact that each successive model in the series can be joined together to create a long streetscape is an extra bonus. The Pet Shop is 2011’s Modular Building and is a gorgeous contribution to the theme, actually made up of two apartment style buildings side by side. Everything from the colors of the building and the architectural design to the pet shop feature makes the set highly appealing for younger fans who want to venture into more complex sets or for adults interested in a set to share with their children. I knew as soon as I saw images for this set it would become one of my favorite sets of the year. As soon as I had it in my hands however it became one of my all time favorite Lego sets. I like to think it’s not just because it reminds me of the space sets I used to covet as a young girl -the blue space theme was a hit with many a kid who are now in their 30’s and 40’s. And the popularity of this set with my kids and other fans proves that this is a very special addition to the world of Lego. 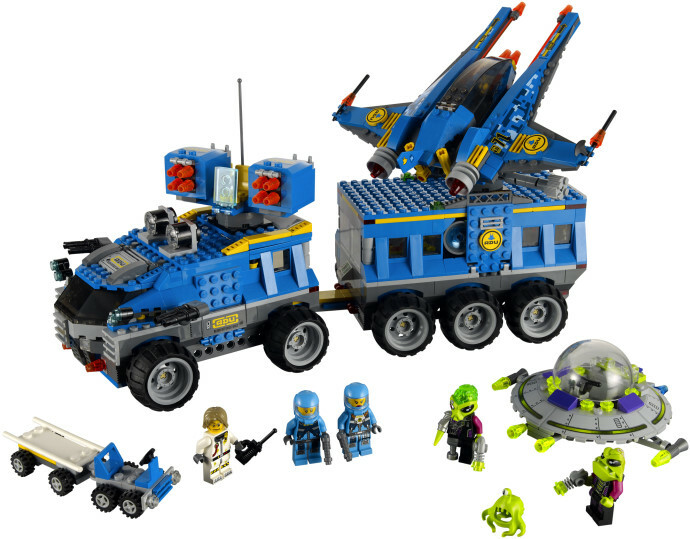 With five minifigures, a UFO, mini-car, jet fighter and a two-part all-terrain HQ vehicle that acts both as a defence and research headquarters this set is full of life and incredibly fun. There is so much playability in this set that it will safely entertain kids of all ages. You can take a closer look at all the features of this set here. Earth Defence HQ is a classic Lego set that will not disappoint and of all the sets on this list it is quickly becoming the hardest to find. The Lego Volkswagen T1 Camper is an absolute design masterpiece. Not only have the designers made the outside of the vehicle look just like a Volkswagen camper but miraculously the inside is full of space, character and quirk. If you have ever tried to design a vehicle remotely like this with Lego you know how difficult it is to do. To make something of this caliber is pure genius. Sure you could improve some areas. A few design features could’ve been tweaked for authenticity but then you might a sacrifice stability instead. It’s a tightrope to walk and I think Lego have taken the right path here. Having said that the most obvious area for improvement is the stickers – really not appreciated for a set of this style, but still a minor quibble in the grand scheme. Though if Lego decided to produce a range of large stickers with “Make Lego Models Not War!” printed on them I would be first in line to buy a box! “A’V’ shape three-way color split at the front, rounded roof and window frames, opening ‘splittie’ safari windshield, opening doors, iconic pop-up roof with textile curtain surround, roof rack, rear side air intake vents and lots more. The van measures 11.8 inches (30cm) long and 5.5 inches (14cm) high and is a display item for those who love Lego and love the spirit that the Volkswagen Camper represents. 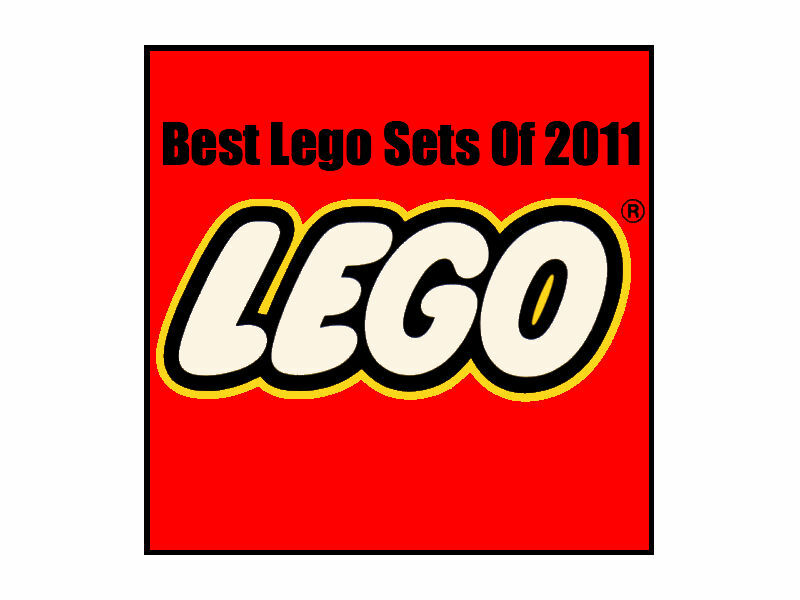 My Top Ten Lego Sets of 2011. 2011 was a great year for Lego and there were many sets I could have included but just ran out of numbers between one and ten! Big thanks to the Lego designers and the Lego company for their commitment to quality and pushing the boundaries of design and play. I am always inspired to build my own sets when I see what the Pros make and my kids lives wouldn’t be the same unless we could share in the Lego experience. I feel blessed to be able to write about a company who cares about how their products are designed, produced and received. From images I have seen so far, I’m excited about 2012 and can’t wait to see where Lego will take us. And if you have read all the way through then you have ideas about what I chose to include and what I so obviously missed!